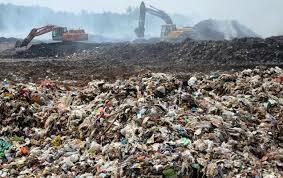 Plastic Waste Management Rules, 2016: Government has notified the Plastic Waste Management Rules, 2016, in suppression of the earlier Plastic Waste (Management and Handling) Rules, 2011. The Minister of State for Environment, Forest and Climate Change, Shri Prakash Javadekar, said here today that the minimum thickness of plastic carry bags has been increased from 40 microns to 50 microns. He stated that 15, 000 tonnes of plastic waste is generated every day, out of which 9, 000 tonnes is collected and processed, but 6, 000 tonnes of plastic waste is not being collected. Shri Javadekar also said that the rules, which were admissible upto municipal areas, have now been extended to all villages. To promote use of plastic waste for road construction as per Indian Road Congress guidelines or energy recovery, or waste to oil etc. for gainful utilization of waste and also address the waste disposal issue; to entrust more responsibility on waste generators, namely payment of user charge as prescribed by local authority, collection and handing over of waste by the institutional generator, event organizers.